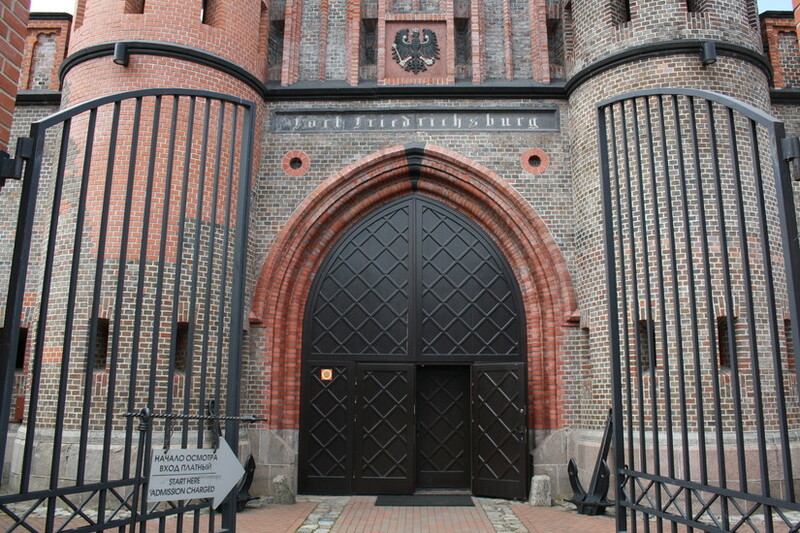 This impressive gate in the south-west of the city is all that remains of Fort Friedrichsburg which stood here from 1657 until the 1920s. 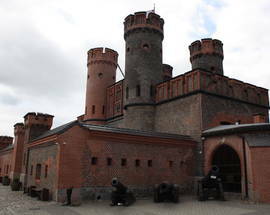 The fort was originally built to protect Königsberg from the sea and was designed by the great Prussian mathematician Christian Otters, and the gate, a much simpler thing at that stage, would have served solely as an entrance to the fort. 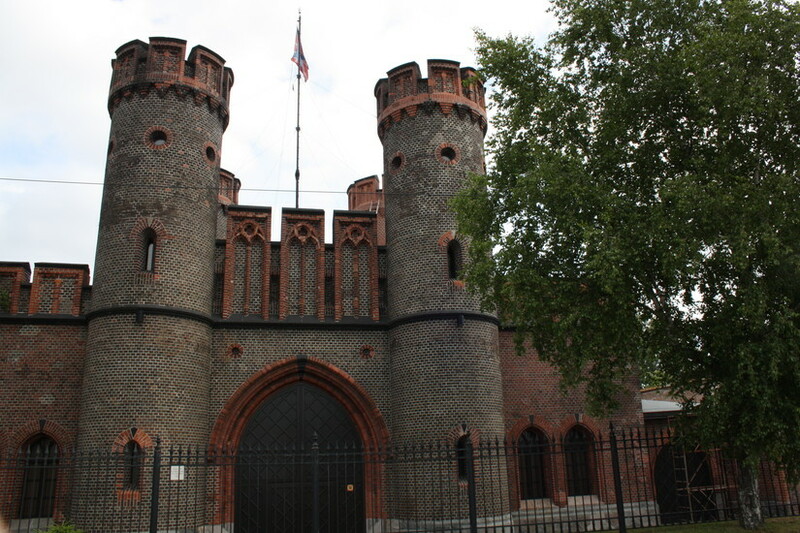 The gate you see today was built when the fort was incorporated into the new Inner Ring, or Second Defensive Ring, in the 1850s and completed in 1858. 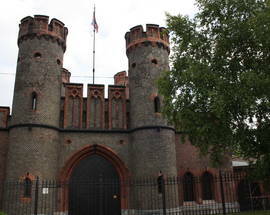 The fort, which featured four bastions named Diamond, Emerald, Pearl and Ruby, unfortunately no longer exists. In 1910 the area was sold to the Prussian Eastern Railway company who demolished it to make way for new railway tracks. The gate has been renovated in recent years and is now a wonderful building which houses the ‘Ship’s Revival’ Historical and Cultural Centre which shows the history of ships in Russia and the Baltic region. 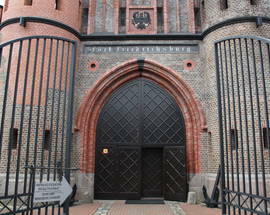 The gate and the fort that stood here are one of the places which have historical Russian links. 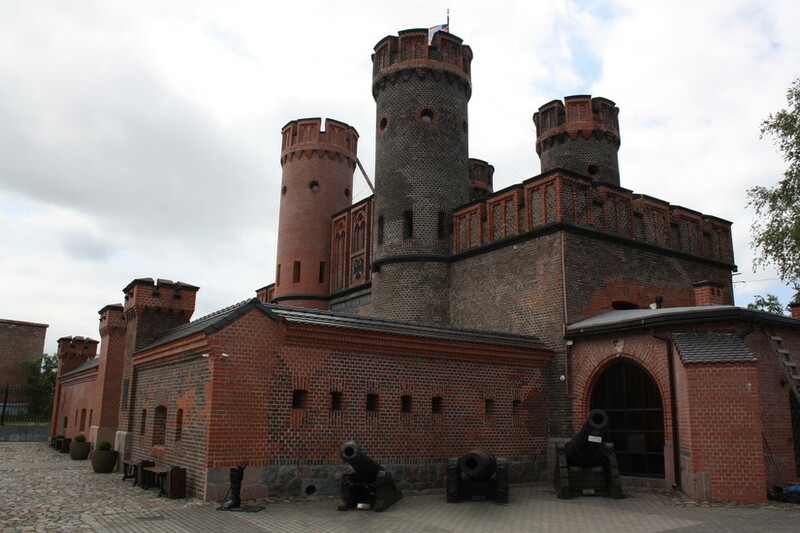 When Peter the Great, travelling under the alias of Peter Mikhaylov, stopped in Königsberg in 1697 as part of his Grand Embassy he trained at the fort here and his skill for ‘perfect talent in bomb throwing and as a careful and skilful firing artist’ were recognised with a certificate.